Check out the Thunderbolt 3 AirStream trailer at B&H's NYC SuperStore on May 7, 2017, starting at 10:00 AM. The first 200 people that come to the SuperStore for Thunderbolt Education Day will receive a special promo code for a free external hard drive. The Thunderbolt 3 AirStream trailer will make its way from the NAB Show in Las Vegas, all the way across the country to the front of the B&H Photo SuperStore in New York City. Learn about the differences between Thunderbolt 3 and its previous versions. Test your Thunderbolt 3 knowledge by playing a game inside the AirStream trailer, or check out the product demos inside the B&H Photo SuperStore. 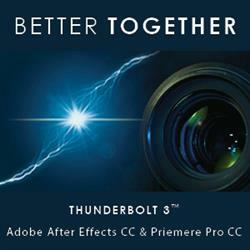 The B&H Event Space will also be hosting two seminars featuring Thunderbolt. For registration and more details on the seminars, click here and here. As the world's largest source of photography, video, and audio equipment, as well as computers, drones, and home and portable entertainment, B&H is known worldwide for its attentive, knowledgeable sales force and excellent customer service, including fast, reliable shipping. B&H has been satisfying customers worldwide for over 40 years. Visitors to the website can access a variety of educational videos and enlightening articles. The B & H YouTube Channel has an unmatched wealth of educational content. Our entertaining and informative videos feature product overviews from our in-house specialists. You can view the B&H Event Space presentations from many of the world's foremost experts and interviews with some of technology's most dynamic characters. Tap into this exciting resource by subscribing to the B&H YouTube Channel here. In addition to videos, the B&H Explora blog presents new product announcements, gear reviews, helpful guides, and tech news written by product experts and industry professionals. When you're in Manhattan, take a tour of the B&H Photo SuperStore, located at 420 Ninth Avenue. The techno-carousel spins all year round at the counters and kiosks at B&H. With hundreds of products on display, the B&H Photo SuperStore is the place to test-drive and compare all the camera gear. 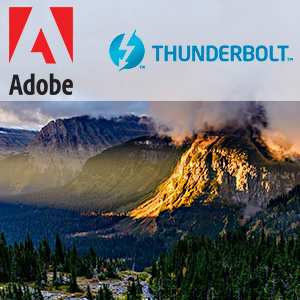 Discover how you can use Lightroom CC to quickly elevate your photography to new heights with powerful global and local adjustments while keeping your entire library organized and accessible. Come to the Thunderbolt™ and Adobe session to learn how the combination of Thunderbolt™ 3 and Adobe Premiere Pro and After Effects can help your workflow.